What is Diabetic and Peripheral Neuropathy? Diabetic is the most common form of neuropathy, with peripheral coming in second. 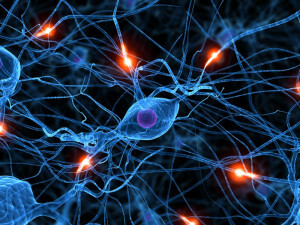 Neuropathy means damage to the nervous system. The most common subset of diabetic neuropathy is peripheral neuropathy. One can lead to the other and cause grave symptoms that may even result in death if not cared for. The most common cause of peripheral neuropathy is uncontrolled blood sugar in relation to diabetes. 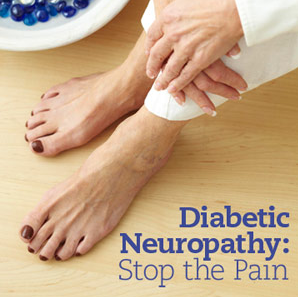 With over 16 million Americans suffering from diabetes, neuropathy is a serious concern. Of this detrimental number, a large percentage of people will develop neuropathy. The World Health Organization predicts that over the next decade, one-third of the population in the United States will be affected by diabetes and of this number; nearly half will suffer from some form of neuropathy. The symptoms associated with diabetic and peripheral neuropathy vary depending on the duration of time the patient has had the condition. Early neuropathic symptoms typically involve a tingling or light burning sensation in the feet that begins to travel up the individual’s legs. 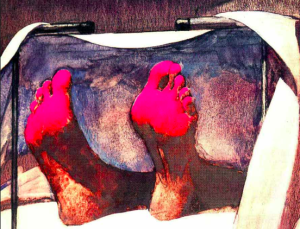 Most people report their feet being affected first at onset of neuropathy. Neuropathy usually impacts both legs, unlike other conditions like sciatica that spreads into the back of one leg. Neuropathy symptoms usually worsen with time, especially if left untreated. Pain, tingling, burning in extremities and muscle weakness may be seen early on and increase in severity as time goes on or if treatment is not received. Peripheral neuropathy may lead to severe muscle weakness in the legs, causing the individual to require a walking aid, such as a walker or cane. For those with neuropathy in the arms and hands, tasks such as dressing, writing or lifting items may be painful. A complete medical history and physical examination is needed for the doctor to diagnose the condition. Normally lab work is needed, such as blood and urine samples. Your doctor may rule out other issues, such as rheumatoid arthritis, in an attempt to diagnose diabetic or peripheral neuropathy. Imaging tests may be required, such as x-rays and an MRI, which may reveal arthritis and degeneration of the bone and cartilage. Nerve compression may also be revealed with digital imaging. Additional studies may include nerve conduction tests and even muscle biopsies to reveal further damage or problems. While there is no cure for neuropathy, treatment at the onset of the condition usually provides the patient with the best possible outcome. Treatment varies depending on how severe or how long the patient has had neuropathy. Medication may consist of a narcotic or non-narcotic drug designed to effectively reduce pain. A pain specialist will work with the patient to closely monitor the drug intake in order to ensure long-term effects are positive and not negative. 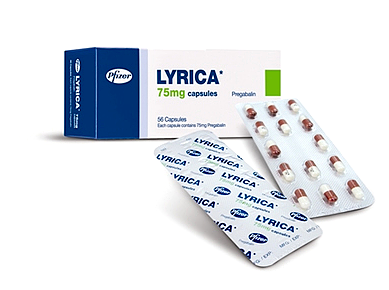 Neurologic medications may also be administered to help decrease burning sensations caused by neuropathy, such as Lyrica or Neurontin. Physical therapy and chiropractic care work in combination with one another. While they do not change the nerve problems that exist, they can help relieve painful symptoms by improving blood flow into the affected area. Massage, TENS unit, ultrasound and electrical stimulation all are effective forms of treatment. Other pain management methods may involve injections of numbing medication and steroids into the affected site. 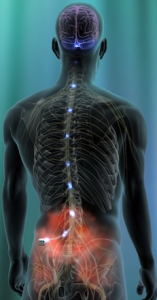 New research studies reveal that spinal cord stimulation is an effective treatment in patients with peripheral neuropathy. This form of treatment may offer a decrease in pain while slowing the development of the condition. All treatments are most effective if initiated early on. At the onset of neuropathy, treatment is most effective and prevents a quick progression with full-blown symptoms of pain, discomfort and even disability. If treatment is received early on, at the onset of neuropathy, the condition can be slowed in progression. Treatment is most effective when the condition first begins so that it can be prevented from worsening over time. According to the American Diabetes Association, 85% of people who are treated within the first year of neuropathy development are significantly helped and pain is drastically reduced. If you or your loved one shows signs of neuropathy it is important to see a pain specialist right away. Prevention is critical to your future without pain. If you or a loved one is suffering from diabetic neuropathy in the greater Fort Myers and Cape Coral areas, let Fort Myers pain management help you.